Paris (AFP) - President Muhammadu Buhari told AFP Wednesday that Nigerian authorities were talking to Boko Haram prisoners in their custody and could offer them amnesty if the extremist group handed over more than 200 schoolgirls abducted last year. "The few (prisoners) we are holding, we are trying to see whether we can negotiate with them for the release of the Chibok girls," Buhari said in an interview in Paris during a three-day visit to France. "If the Boko Haram leadership eventually agrees to turn over the Chibok girls to us -- the complete number -- then we may decide to give them (the prisoners) amnesty." 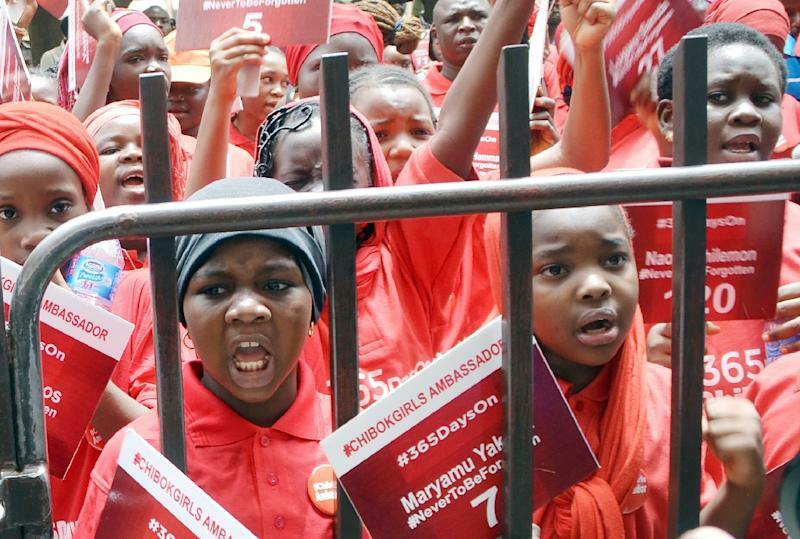 Boko Haram fighters stormed a school in the remote northeastern Nigerian town of Chibok on the evening of April 14 last year, seizing 276 girls who were preparing for end-of-year exams -- an abduction that caused global outrage. Buhari, who has promised to stamp out Boko Haram's six-year insurgency that has left more than 15,000 dead, said the government would not release any prisoners unless it was convinced it could "get the girls in reasonably healthy condition".